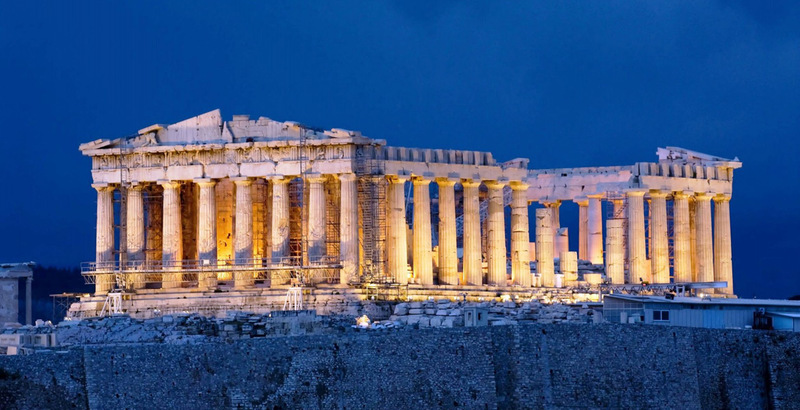 4 days Classical tour of Greece and Meteora. 4 DAYS / 3 NIGHTS: Departs: 8:30 am / Returns: 19:30 of the fourth day. The tours are organized by 3 tour Operators. The travel agents sell these tours at discounted rates. Organized April - October on Mon, Tue, selected Thu (click and see all the dates), and Saturdays. From November - March this tour is organized ONLY on Mondays. The price in first class hotels includes a free arrival transfer to your hotel in Athens. DAY 1. Athens - Corinth canal(stop) - Epidaurus(visit) - Nafplion(stop) - Mycenae(visit) - Olympia. Overnight. DAY 2. Olympia(site & museum) - Drive over the Rio to Antirio bridge - Delphi. Overnight. DAY 3. Delphi(site & museum) - Thermopylae - Lamia (short stop) - Kalambaka. Overnight. DAY 4. Meteora (visit 2 monasteries) - optional lunch in Kalambaka - Lamia (short stop) Athens. Our prices are discounted and paid in advance. Please, read in the footer of this page "how to make and secure a booking". NOVEMBER - MARCH: Everybody else pays 24.00 € for entrance fees. APRIL - OCTOBER: Everybody else pays 48.00 € for entrance fees. (This service is from hotels in Athens. The airport and the Port of Piraeus are not in Athens. Pick up transfer can be arranged from the airport or the port of Piraeus at an extra cost). - 3 nights accommodation, with 3 breakfasts, in tourist class & the OLYMPIAN VILLAGE Hotel. 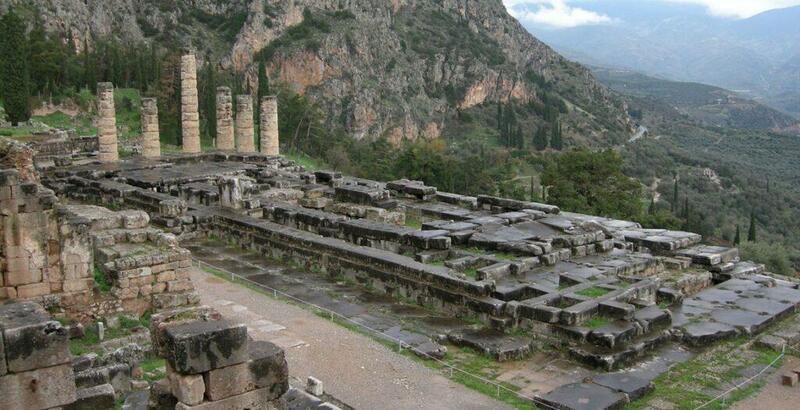 - First night at Olympia, second night in Delphi, and third night in Kalambaka. * Visit 2 monasteries in Meteora, open on the day of your visit. - Short stop at Corinth canal, one of the 4 manmade canals of the 19th c.
- Taxes except the city tax (1.50-3.00 euro per night) that must be paid to the hotels. b) 5% GROUP DISCOUNT: Make a team of 5 or more passengers and gain 5%. # WITHIN ONE WEEK following our confirmation, pay a deposit of 50.00 euro, per person. d) And for couples travelling with ONE child <12y.o. in 4 star hotels, the child pays 25%. - Buy this tour in First class hotels and get the complimentary arrival transfer from the airport to your hotel. - Persuade your friends, make a small team of 5-8 adult passengers, and get an extra 5% discount. Right after we receive the message from the bank that the money have been deposited, we shall send you the voucher. There is a cancellation deadline if the bookings are not settled on time. We cannot be held responsible for misunderstanding, misreading and not noticing such deadlines. However, for bookings in the last 48 hrs, you will have to visit our office, at 48 Stadiou street. See our location in the map.